The longtime host won’t address his plans until after April 1. Mike Francesa knew he would miss his job at WFAN when he left in December following a 30-year run at the station. But he has missed it even more than he expected to. “It’s been very much an adjustment,” he said Monday. “Have there been times when I wish I had a forum and I wanted to express myself? Absolutely. Many, many times that has come up. 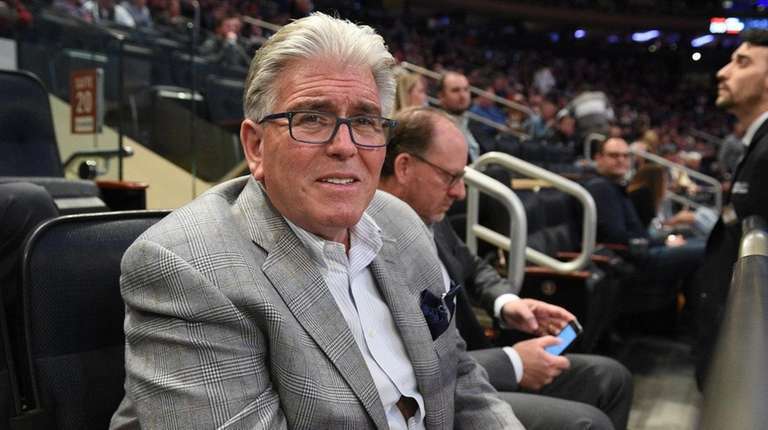 Still, Francesa acknowledged it has been healthy for him to alter his decades-long routine, especially when the weather has allowed him to feel as if he is on a break, such as at a Mets spring training game he attended in Port St. Lucie, Florida. He reunited that day with Mets personnel, and fans. Soon, though, it will be time for whatever is next, a subject he said he is not permitted to address in detail until after April 1. That does not mean there will be an announcement on April 2. Francesa said he expects to have news he can share between April 1 and May 1. His only short-term plans involve his old partner, Chris Russo. This week he and Russo will record material for a new play about George Steinbrenner in which their voices are to be heard offstage. On March 28, he will join Russo on his MLB Network show, “High Heat,” to make baseball picks. Francesa long has represented himself, but he is working with Mike Levine, co-head of the agency CAA Sports, on potential new ventures. What does Francesa think of his successors at WFAN? He declined to comment. “I promised I wouldn’t, and I don’t think it’s fair,” he said. “What I’ll say about the show is this: What anyone thinks of a show, good or bad, what it comes down to is the business side. Is it going to be successful in the ratings? Is it going to produce revenue? That’s going to define a show. Nothing else matters. “The rest is a lot of fun, a lot of passion, a lot of debate, but it really is just conversation, because it comes down to ratings and revenue in our business. It always will. It always has . . . One of the things that I always had is I made everybody emote, which is a good thing. People were always interested, and that’s my blessing.